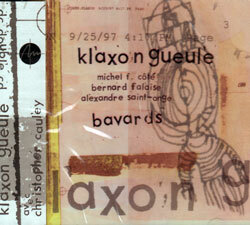 Michel F. Cote, Bernard Falaise, and Alexandre St-Onge on their second CD as Klaxon Gueule, but now as an electroacoustic chamber ensemble instead of a power trio. 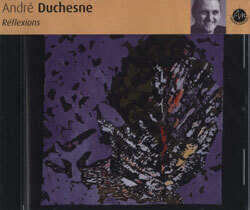 A solo poetic album by Andre Duchesne on acoustic guitar playing 14 beautiful songs. 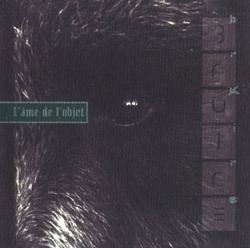 Claude St-Jean's band, Les Projectionnistes (Tommy Babin, Bernard Falaise, Pierre Labbe, Remi Leclerc), plays an ecletic mix of songs ranging from alternative jazz, rock, and improv. 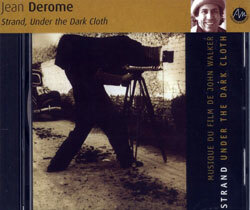 A 1998 soundtrack by composer Jean Derome that was created for a film by John Walker that was conceived as a "suite in black and white" that gradually builds as it progresses. 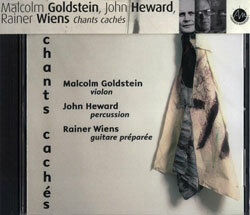 The trio of Rainer Wiens, John Heward, and composer/ improviser Malcolm Goldstein on guitar, drums, and violin respectively, in their first album. 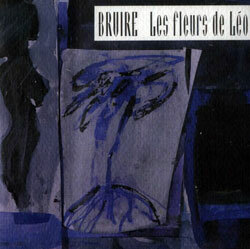 An eclectic collection of mostly improvisational songs that use sampling and other electronic processing on raw instrumental material, that is then combined with new improvisation to reshape the material even further. 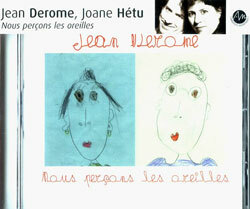 Saxophonist, vocalist, and composer Joane Hetu is joined by Jean Derome, Diane Labrosse, and Pierre Tanguay for a collection of songs celebrating love and life. 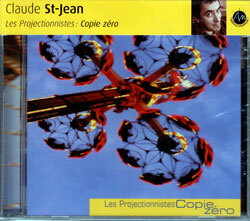 A six-piece brass ensemble formed in 1993 with a varied style of playing with pieces composed and arranged by trombonist Claude Saint-Jean. 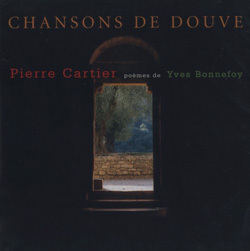 A double CD set of fourteen songs based on the poetry of Yves Bonnefoy, composed by bassist Pierre Cartier and executed by two females voices, one man's, three brass instruments, two saxophones, one double-bass and two trap sets. 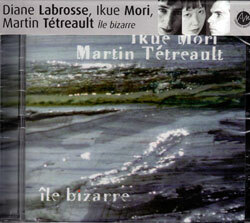 Using a minimal mixture of electronic and sound material, Ikue Mori, Martin Tetreault, and Diane Labrosse collage raw noises and spatial elements into elaborate sound clusters. 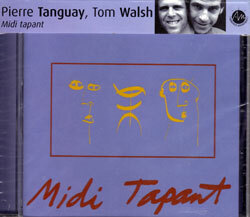 The duo of Pierre Tanguay on drums and percussion and Tom Walsh on trombone in a release of minimalist construction that blends composition and improvisation. 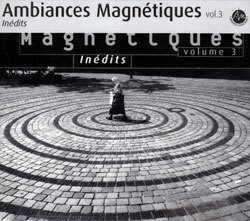 An anthology of 24 unreleased works by various members of Ambiances Magnetiques: Michel F Cote, Jean Derome, Andre Duchesne, Joane Hetu, Diane Labrosse, Robert Marcl Lepage, etc.. 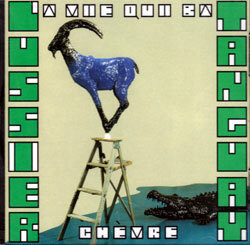 Continuing where La vie qui bat: Chevre left off, this is the second installment of the project from the duo of Pierre Tanguay and Rene Lussier where they take a journey though human nature. 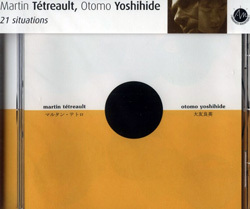 A fascinating mix of concepts and sophisticated compositions, as interesting sonically as the visual aspects of the show, as evidenced in the well presented booklet. 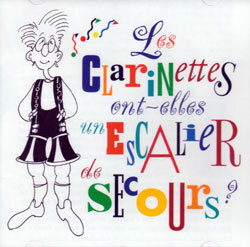 Lepage, Robert Marcel: Les clarinettes ont-elles un escalier de secours? 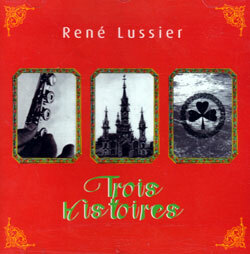 Clarinetist Robert Marcel Lepage takes the listener on a trip around the world aboard his clarinet with the help of twenty other musicians. 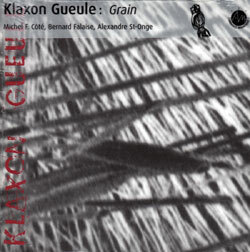 The debut album of percussionist Michel F Cote's band Klaxon Gueule with Bernard Falaise on electric guitar and clavier, Alexandre Saint-Onge on bass and electronics, and Christopher Cauley on saxophones. 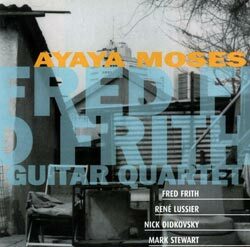 Fred Frith's leads a quartet of electric guitars (Rene Lussier, Nick Didkovsky, Mark Stewart) through 10 different journeys that explores the dynamic potential of this unique group composition. 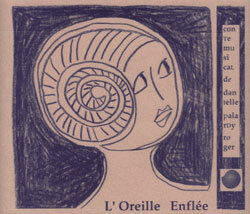 A commissioned piece for Jean Derome by Montreal's O Vertigo dance troupe and their production "The Beast Within" that explores animalistic qualities in a dynamic mix of improvisation and composition. 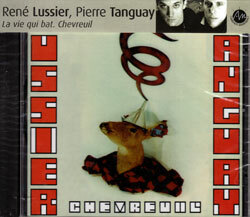 Melodic music recorded live in a Quebec church in 1989 with Jean-Denis Levasseur and Jean Derome on saxophones, Pierre Cartier on bass, and Pierre Tanguay on percussion. 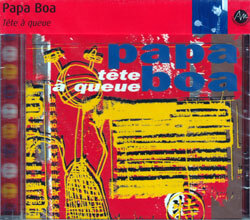 A unique brass band with music that is a hybrid of European and American influences tinted with jazz, funk, and swing that is a cross between circus music and a antimilitary marching band. 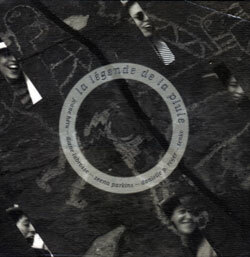 The sequel to "Carnets de voyage", this release once again features compositions from Jean Derome, 8 new releases that were written on tour and are full of twists and turns. 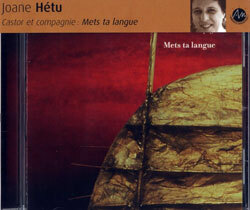 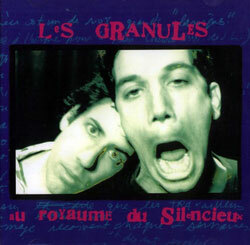 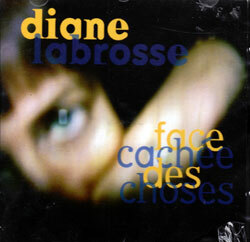 A compilation of seventeen tracks featuring artists such as René Lussier, Jean Derome, Pierre Tanguay, Robert Marcel Lepage, André Duchesne, Joane Hétu, &tc. 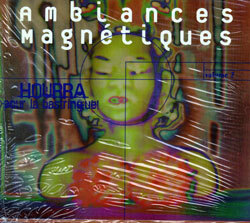 Diane Labrosse's first solo CD on Ambiances Magnetiques is a collection of digital samples of various objects undergoing mysterious electronic treatments. 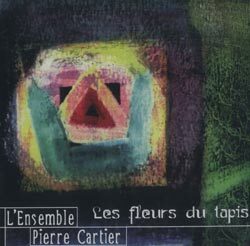 Nine pieces recorded live over the course of three days by a quintet of artists and composers (Derome, Boisvert, Fradette, Tetreault). 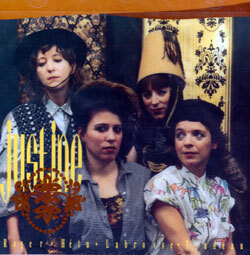 The second CD from Justine, a group of all women composers, arrangers, instrumentalists, and singers who are an offshoot of Wondeur Brass and who create music of dissonance and organized chaos. 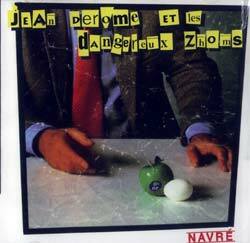 The first recording of Jean Derome et les Dangereux Zhoms, recorded in concerts around Montréal in March 94, with eleven excellent pieces written by Derome. 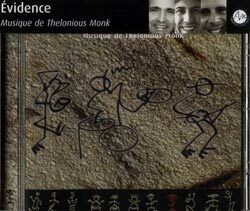 A tribute to the music of Thelonious Monk by the group Evidence, comprised of Pierre Cartier (bass), Jean Derome (reeds) and Pierre Tanguay (drums). 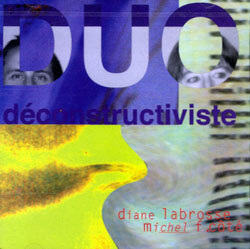 Using improvisation, interactive listening and radical exploration, electronic artists Diane Labrosse and Michel F. Cote play with constructing and deconstructing 11 pieces. 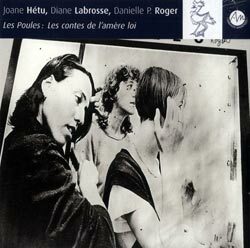 Compositions for synthesizers, electric harp, tabletop guitar, accordion, alto saxophone, percussion and voices performed by Joane Hetu, Diane Labrosse, Zeena PArkins, Danielle Palardy Roger, and Tenko. 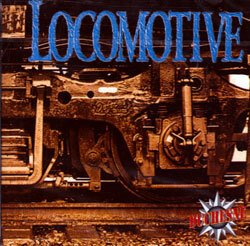 Eighteen songs by the dynamic quartet Locomotive, led by composer and guitarist Andre Duchesne, that are intelligent, melodic, and energetic. 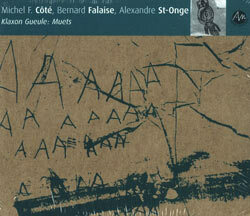 Thirteen new compositions by Michel F Cote that are tightly linked together by a poetic text, with Jean Derome, Diane Labrosse, Claude Lamothe, Robert Marcel Lepage, Rene Lussier, Ikue Mori, and Claude St-Jean. 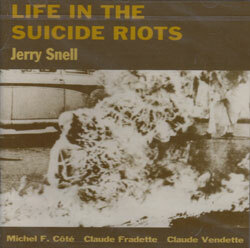 Vocalist and guitarist Jerry Snell in his first album of twelve songs that are based on a text he wrote about social and political conflicts around the world. 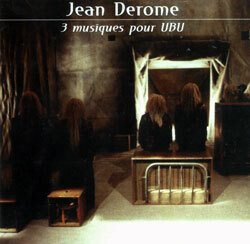 The duo of Jean Derome and Rene Lussier on their third album of composition and improvisation that was recorded live with no overdubs. 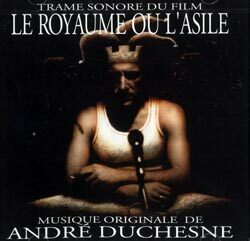 Composer and guitarist Andre Duchesne creates a soundtrack for the film Le Royaume ou l'Asile, by Jean and Serge Gagne, that brings the listener into a world of illusions. 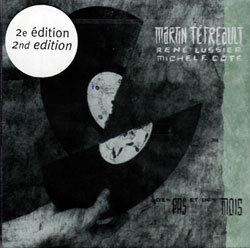 Using extended and unsual techniques of cutting up, scratching, scraping, sanding grooves, even ironing his records, turntabilist Martin Tetreault approaches new music in audacious ways. 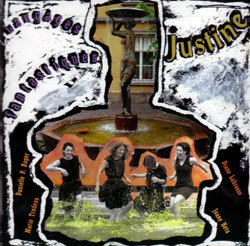 A continuation of Wondeur Brass, Justine is comprised of all women composers, arrangers, instrumentalists, and singers who create music of dissonance and organized chaos. 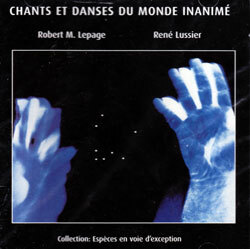 A mixture of composition and improvisation ranging from earnest to farcical in this early recording from Robert M Lepage (clarinet, sax) and Rene Lussier (guitar).